My Summer Cottage in Babylon: No title for you! Sorry about the hiatus. It wasn't planned. The tech guys at Blogger apparently got taken up in the rapture, because I (and thousands of others) couldn't log in for days. And once it was finally working again, I was too busy. Basically, until this moment, I haven't sat down since Sunday. It's amazing the difference the absence of one kid makes. 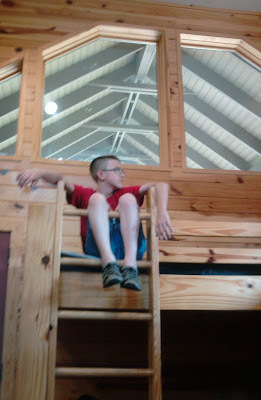 I dropped Ben off at a week long overnight camp on Monday. Since then, there is no pee on the toilet. There is no screaming in the house. Liam and Amelia have played Wii all afternoon without a single physical altercation. When Ben is home, Wii playing usually ends up looking like a scene from Cops. All that's missing is the trailer. 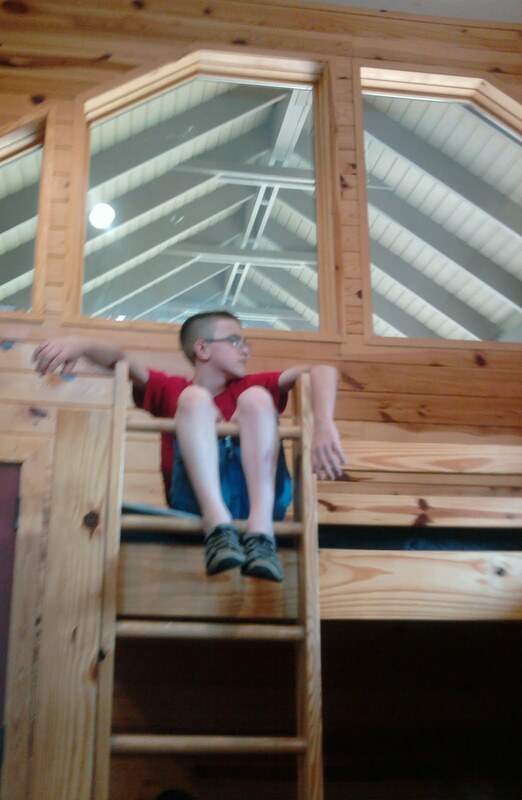 Speaking of Ben's camp, it's nicer than most resorts I've been to. It's quite swanky--vaulted ceilings, skylights, air conditioning, spa-like showers and bathrooms in the cabin. He's in for a rude awakening next week when he goes to Scout camp and has to sleep in a tent (that he has to set up himself), poop in the woods and bathe in a cold lake. Liam is really, really good at entertaining himself and making the best of his situation. Being the mean mom that I am, I won't buy him a Nintendo DS. So, he made his own. And he's been playing with it for hours. 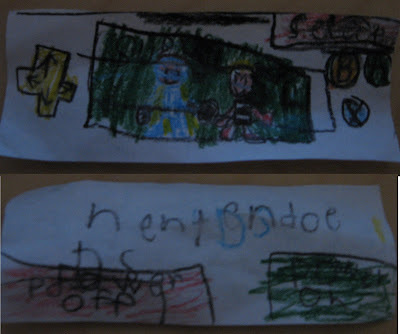 The front (top) and back (bottom) of Liam's DS. The game on the screen? Super Liam. I don't know what the muscles in your armpits are called, but mine are soon to be hulk-like. I started swimming laps again after taking a year off. Nothing hurts but my armpits. I had to have a discussion about ebonics and making sweeping blanket statements with the kids last week. Ben, for whatever reason, has started saying ain't all the time. Liam informed him that "only brown people and people with missing teeth say ain't." Speaking of Life According to Liam, Batman only wears a cape so no one will see that he's not wearing any pants. Seems like a reasonable explanation to me. As peaceful as it is with Ben gone, I'll be glad when he gets back so I can stop cleaning the litter box. And before someone cries Duggar, let me assure you that he was consulted before I agreed to host the kitties, and was on board with this chore assignment. It's so hot out today that even the cats are laying on the AC vents. Things that make me stabby for $200, Alex. When internal organs go astray. That one time my anniversary sucked. Queen of the backhanded compliment.